The music streaming app Rdio, which is also AppRadio compatible, is coming to all European countries in a few months. The paid subscription service is trying to compete with other such services like Spotify but for AppRadio users this is the only such option because Spotify and the others are not AppRadio compatible. Rdio is already available in the United States, Canada, Germany, Brazil, Portugal, Spain, Australia, New Zealand and Denmark. The service allows you to download songs to your device for offline use. The interface on the AppRadio is quite nice too. It's uncluttered and easy to use. You can sign up for a free trial and see if it's for you. If you don't mind spending $10 a month for unlimited music streaming and have an AppRadio this thing is a must have. You can also get a web-only subscription for $5 a month for streaming music on your computer. 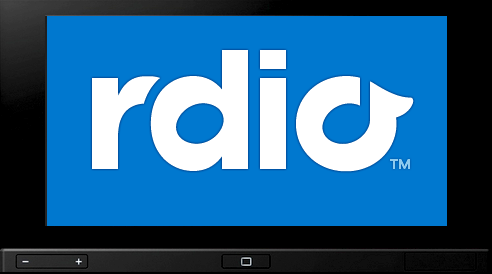 So for all you music fans with AppRadios living across the pond, prepare yourselves for Rdio. You can read the entire release at paidContent by clicking here. Visit www.rdio.com for more details.